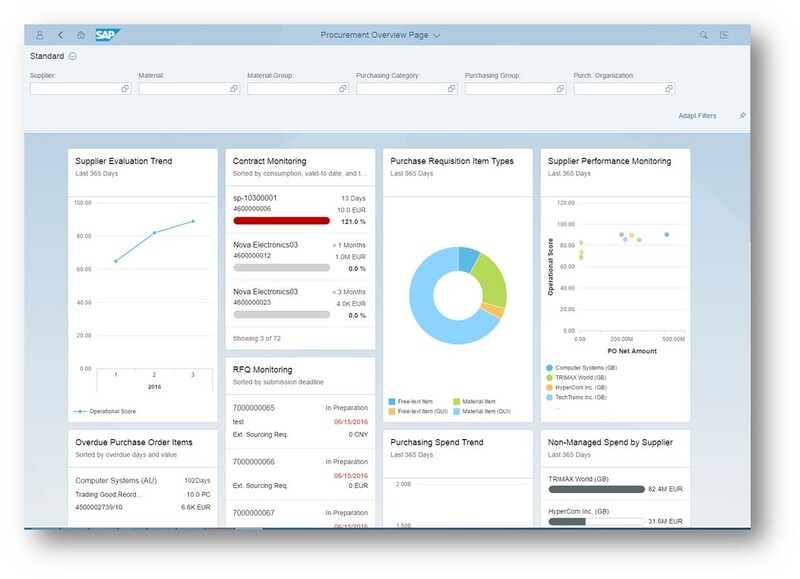 With Procurement in SAP S/4HANA Cloud, customers can manage purchases with greater efficiency and productivity by using a centralized system with role-based smart business dashboards. This blog provides you an overview of key highlights in the area of Sourcing & Procurement of our SAP S/4HANA 1702 Cloud release. With the new SAP S/4HANA Cloud 1702 release, we shipped many innovations for Sourcing & Procurement. While providing enhancements to existing functionalities, we also delivered many new functionalities to further amplify our Sourcing & Procurement solution. In addition, we extended our pre-built integration scenarios to connect to other Cloud Solutions. Building on this, SAP S/4HANA Sourcing & Procurement 1702 brings you step closer in your efforts to simplify your procurement. Among the key highlights of SAP S/4HANA Sourcing & Procurement 1702 is flexible workflow capabilities for purchase requisitions. Now, we enable a separated n-step approval workflow for different organizational units or material groups, including dynamic start conditions, as well as dynamic approver determination. In addition, we now offer supplier evaluations across hard and soft facts. Powered by real-time analytics, suppliers are evaluated across hard facts, such as, quantity, time and price accuracy and quality scores and soft facts. Those soft facts can be retrieved from questionnaires that are sent out to purchasers or other employees of your company. Based on the results, the system then calculates a score for each supplier. In order to manage paper-based supplier invoices, we now provide a new functionality to upload supplier invoices. For this, we created a dedicated SAP Fiori app called “Upload Supplier Invoices”. This app will upload scans of your paper-based invoices to your SAP S/4HANA Cloud system. Subsequently, the system will create an invoice draft which has the uploaded file attached.